I am so delighted to be blogging again after this long but short break. I thank God for the blessing and the inspiration to write at all. Special thanks to my loving husband, for always diligently reading, editing and encouraging me to do this. A big thank you to each and everyone of you for your patience and consistence, likes and comments. 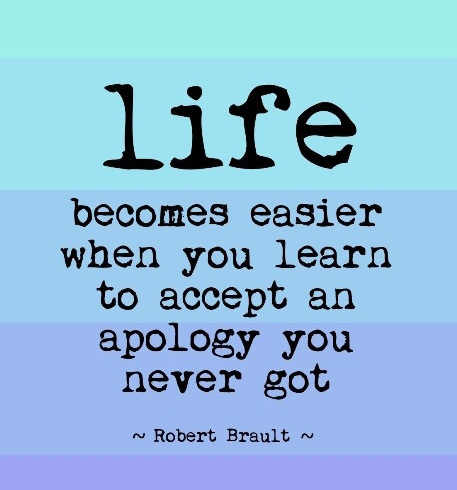 A special shout out to those who will read this and make an effort to forgive a hurt. A wonderful thank you to my Pastor friend who poured so much into me and helped me overcome a hurt. I am liberated and blessed to have such powerful friends and mentors in my life. Today, I really want to talk about the power of the mind akin to forgiveness. Yes, mostly because I blog about my experiences as I grow. So enjoy!!!!! As humans I think our ability to forget almost anything is inevitable. It is no wonder we are liable to experience chaos. Most of the chaos we encounter starts from a faulty mind unfortunately. A child is soon to forget a parent's costly sacrifice. A spouse in a moment of sadness forgets and momentarily wipes out all the good that the partner represents. An organization in a heartbeat would fire an individual for a misdemeanor, sometimes forgetting all the hard labor invested in time past. I often wondered about the Israelites in the Holy Book, why they forgot so easily all of the tremendous signs that God showed them. Forgetting is part of the human race and I am at a critical and interesting place of understanding this phenomenon all over again. It is great to give oneself to learning. You just never stop. I think our memory is like a curse that seethes through and is designed to master-- rough, tough, bad, sad, rash, harsh conditions. It is also designed to enjoy really good times, capturing flawless memoirs. However, a great time down the line can drown a good time and the mind forgets so easily a good time once shared or experienced. The mind and the memory are like stacks of experiences. No wonder it is imperative to renew the mind. Forgiving requires forgetting. It is not magic. It is not impossible. It is the power of the mind. Do you know you are just one decision away from letting go, or doing anything at all? You know how your alarm rings in the morning and you make a decision to get up or not, shower and get dressed to go to work. It's like making a necessary choice to get up, though you feel like sleeping in a bit more. There are so many people that will require us to be generous with our forgiveness either we like it or not. I am quite an emotional person myself and I hurt when I shouldn't sometimes.... anyway.. forgiveness is a necessary practice for me. PARENTAL: this relationship I say has the strongest bond. However, there are so many gifts and flaws in this relationship. Either in the way that you are raised or sometimes, the decisions made or enforced. Some of them are to blame for how we turned out and we are sometimes filled with anger, disappointment, frustration and even hatred. SPOUSAL: this relationship is one with the strongest emotion. Very thin line between love and hate, appreciation and resentment, respect and the lack of it. Living with a spouse you didn't grow up with, suggests the most challenge and sometimes these flaws lead to separations, divorces and sometimes death. CORDIAL: this relationship is the easiest kind. It is often based on interest or the lack of it. All the parties are responsible for the outcome. There are also many advantages and flaws in this relationships. Sometimes envy, jealousy and unwarranted competitions are seeds sown amongst these relationships, which can lead to the end. This could be a platonic friendship, a business relationship, a work related relationship and religious relationships. These relationship types above are general examples of what we are constantly surrounded by. There are others not listed of course, like extended families, siblings and in-laws. All these relationships are vital as long as you live. You cannot avoid some type of conflict at some point in your life. The world is a relational place and so the constant abrasions are a norm. It is a choice, a decision to forget completely. Remember I stated above that the mind forgets. What you don't hold on to, you don't remember. This is practically how God forgets our sins. He forgets them and wipes them off completely. We are made to be just like Him and I am enjoying this particular attribute. Also, forgiveness is the only price we pay to obtain forgiveness from God. Perhaps there are quite a number of decisions you need to make today. Be gracious and generous to release some folks today. I promise you, they don't need to ask before you give it. It is why it's FORE-give. It is something you should give ahead of time before you're asked. It's like foreseeing..
Remembering the good helps to forgive. The Mind is a Power House, do not waste it! I AM FREE!! YaaaY Me!